Rumor Mill: Samsung Galaxy Gear Smartwatch to be Announced Next Month? | OhGizmo! 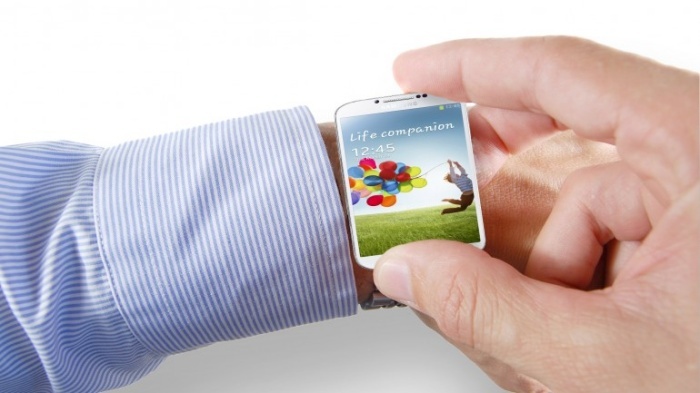 According to various sources, the Galaxy Gear is a wristwatch-like smartphone that can “make phone calls, surf the Web and handle e-mails.” Sammobile speculates that the device will come equipped with a dual-core Samsung Exynos processor and 1 GB of RAM. It’s not the most powerful hardware, but I suppose that is more than enough for what it’s supposed to do. Are you looking forward to the launch of the Galaxy Gear smartwatch? ← Why Not Transport Your Child Like He’s A Piece Of Carry On Luggage? w00t! Gotta get me one. I miss my calculater watch. I think a pocket dictionary might be better suited for you. Wow – obsess much? You must really LOVE me. The irony of the two of us reading the same article is indeed apparent. Obsessed…..no not really. I just find a little entertainment trolling those who troll. Fair enough – I assumed you checked my profile and followed a post. A bit presumptuous on my part upon reflection. Cheers.